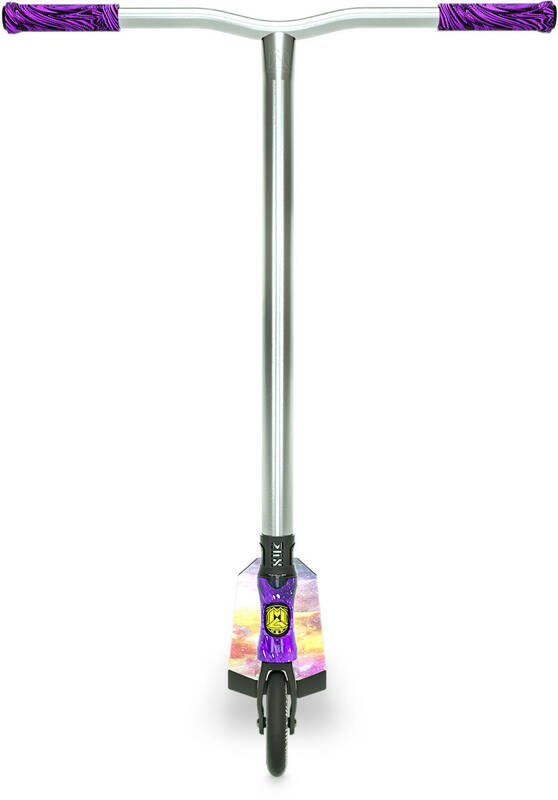 From Madd Gear comes the VX8 edition of their highly popular Extreme-series Stunt scooters. It started out as a way of testing how far graphic designs could be taken on stunt scooters and with the last VX7 series we saw a cool bunch of colour-dipped graphics that engulfed the deck in astonishing prints and vivid colours. 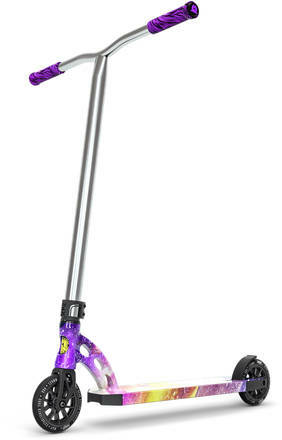 Continuing this legacy is the VX8 Extreme stunt scooter. Yet again the colours are vibrant and the prints fresh and cool. On the hardware end the VX8 Extreme sees upgrades in many areas over the 7-series. Featuring some of their coveted MFX parts, including clamp, fork, and deck-blocks the quality is increased making the scooter even more durable. The compression is Standard HIC which is easily adjusted and tightened whilst providing effortless whips and barspin tricks. This season also sees two included griptape-types. One is a classic black version and the other is two strips that provides the needed grip on the edges whilst letting the colours of the deck shine through. Grandson was in shock and so very happy! He is a big boy for being 12. 150lbs and wearing a 12 1/2 mens shoe. This scooter will hold him and be safe. My son is really happy and satisfied, he uses it every day.